Social media has been going mad for Batman Day! An annual fan-favourite event, now in its third year introduced by DC Comics to honor the iconic character's 75th anniversary. 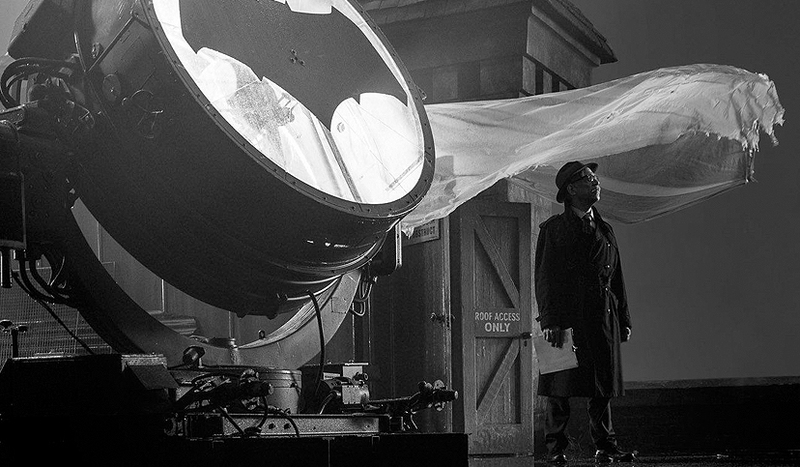 Zack Snyder the director of 'Justice League' joined in the fun by revealing the first photo on his Twitter page of Commissioner Gordon standing on the roof of the GCPD, with the bat signal beckoning the Dark Knight. After Ben Affleck’s debut as the character in Batman V Superman: Dawn of Justice, he'll now be leading and assembling a team of superheroes in Justice League, before returning to his own stomping ground of Gotham City for Batman's own film. One of the main supporting characters that is set to be featured in both of the films is Commissioner Jim Gordon, that's to be played by J.K. Simmons. With Justice League on the home stretch of filming and in honor of "Batman Day", Snyder has peaked the BATMAN fans interest yet again with the first look at Simmons on the Justice League set. I personally believe the whole idea behind this image is to keep it 'moody' ... let's face it, Batman's world is not exactly an 'all singing and dancing' happy one. Here is Simmons as DCEU’s Commissioner Gordon in all his glory and my instant reaction is WOW! I'm totally in agreement that they've kept the full reflection in the water. It's like an Art Gallery pic ... beautiful and thought provoking. You can almost feel the anticipation! The photo has a very old feel and style to it and it's great to finally see Simmons as Jim Gordon. There is no doubt that Simmons will be able to successfully play the role, now it’s just a matter of what type of portrayal he will give. Simmons recently expresses how much he enjoyed playing the character in Justice League, prior to returning for The Batman in a much larger role. Gordon does not figure to be a big piece to the puzzle in helping the Justice League stop Steppenwolf, but once Deathstroke comes to town, that will most likely be a completely different story. It's exciting to see a the look of a character at this stage, but unfortunately will still have to wait over a year until we can see him in action.